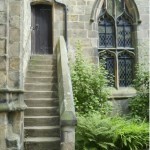 The glorious sound of the church bells being rung in parishes up and down the country dates back to the 16th century. After the reformation many sets of bells were repaired and re hung to make change ringing possible. Before the advent of newspapers, radio and television bells were used to communicate events to the local population. Today they are rung before church services including the weekly Sunday services and, where requested, for weddings and funerals. They are also rung to celebrate special occasions, nationally or locally. Here at St. Helen’s we have a good peal of 8 bells with the tenor being 15 cwts, 2 qrs, 20lbs. The original six bells were augmented to 8 in 1902 with the addition of the treble and tenor. The fifth was recast at this time. The oldest bell, the third, dates back to 1704 and the seventh, the original tenor, was cast in 1710. 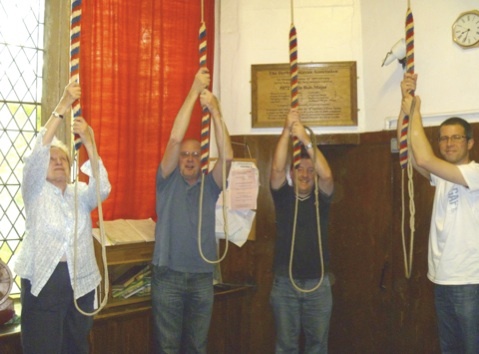 We are fortunate to have an experienced team of bell ringers who ring from 10.15 a.m. to 11.00 a.m. every Sunday and practice from 7.30 p.m. to 9 p.m. every Wednesday. We are pleased to welcome ringers who are visiting the area to join us at these times. 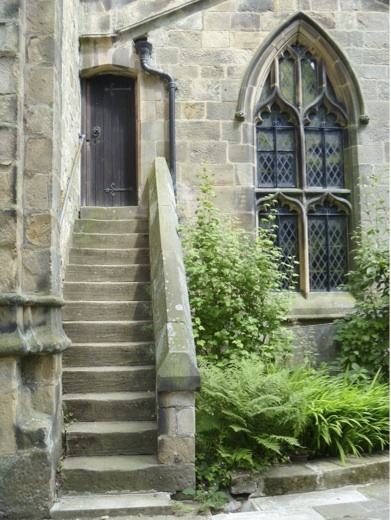 The tower is a member of the Peak District branch of the Derby Diocesan Association of Church Bell Ringers and many of our ringers attend the monthly meetings of the Association. Over the years a band from St. Helen’s has won the Horsley Cup (6 bell striking contest) on numerous occasions, competing against towers from all over the county. Although we have a good band of ringers now we are always on the look out for people who want to learn the art of change ringing so that the bells of St. Helen’s will ring out for generations to come. 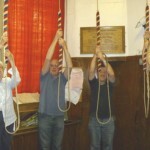 Bellringing is within the capabilities of most people. It is said that if you can ride a bicycle you can ring. Being able to count is the only maths you will need and you can become a good ringer without having any knowledge of music. Ringing is a team activity which stimulates the brain and helps to keep you fit. Why not try for yourself?